There’s no such thing as packing light when you’re traveling with kids. But a new carry-on suitcase not only has room for packing a baby’s travel necessities, there’s also a pop-out stroller seat hidden away inside it, leaving you with one less thing to drag through an airport. 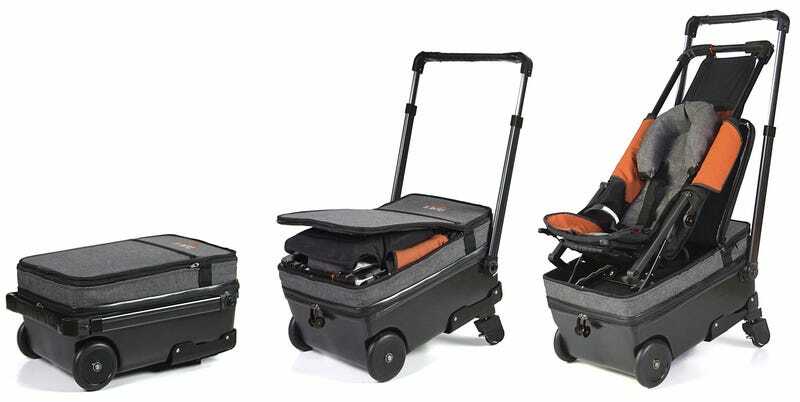 The Born to Fly suitcase weighs only about two pounds heavier than a conventional carry-on bag because of the transforming stroller mechanism inside its lid. So even when packed full of spare diapers and sleepers, it shouldn’t max out weight limitations, and it’s specifically designed to squeeze into overhead luggage compartments on a plane. Once deployed the stroller can be pushed in either direction to accommodate newborns facing you, or toddlers facing away. And you’ll be able to get at least a few years worth of use out of it since it can support kids up to three or four years of age, weighing up to around 37 pounds. 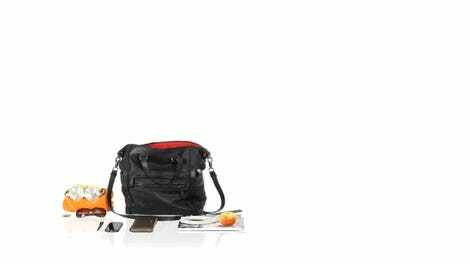 If that isn’t enough to convince you to leave your stroller at home when traveling, the bag also has a USB port with a backup battery for keeping your phone charged which helps keep little ones distracted on long flights. Pricing for the Born to Fly will be around $300 when it hits Kickstarter next week, which includes a $200 discount for early supporters of the company’s crowdfunding campaign. If the product is successfully funded, the transforming suitcase will eventually cost closer to $450, but as with any Kickstarter product there are the usual risks when it comes to backing it early. Unforeseen delays or problems with manufacturing the stroller’s complicated transforming mechanism could be possible road bumps to getting to market. However, we’ve seen similarly impressive folding strollers in the past that work quite well, and the risks here might be worth the promise of making traveling with kids slightly less grueling. When did strollers become gadgets?